Barb hold a large range of the following capacitors in stock for next day delivery in Ireland. 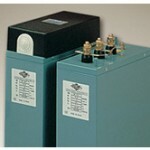 All non-stock / specialized capacitors are available for delivery within 2 working weeks. The following FML, FMLF and FMLFS range of capacitors are the latest models from Lifasa and replace the previous FMD, FMF and FMFS range.